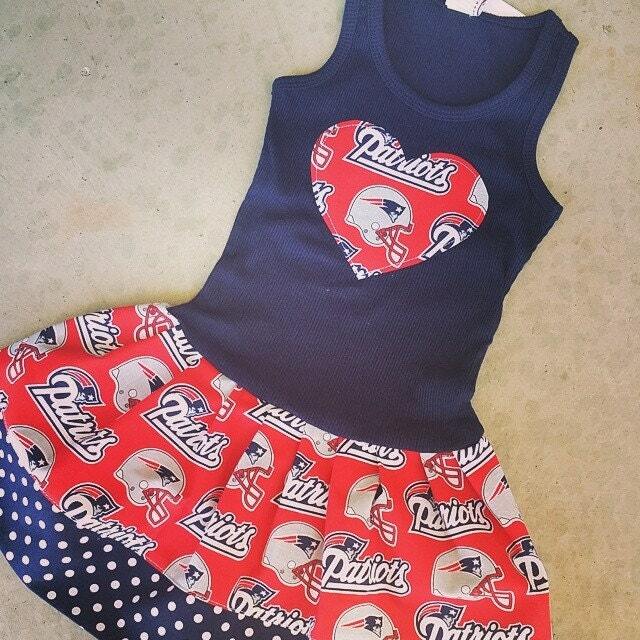 New England Patriots, Dress. All NFL and College Teams Available. Size 6mo 12mo 18mo 24mo 3T 4T 5/6 6x 7/8 9/10. Tank Style Dresses run very true to size. 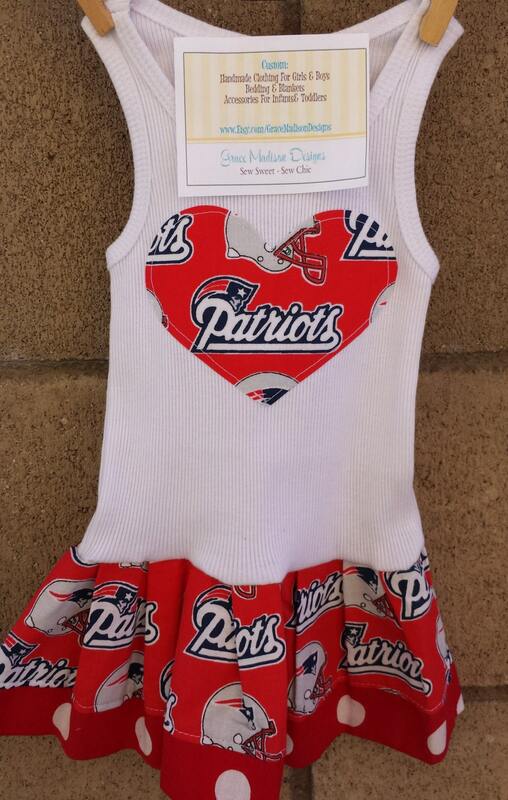 The tanks are ribbed so they will stretch or conform to the shape of your child. There is a heart applique on the chest of dress. 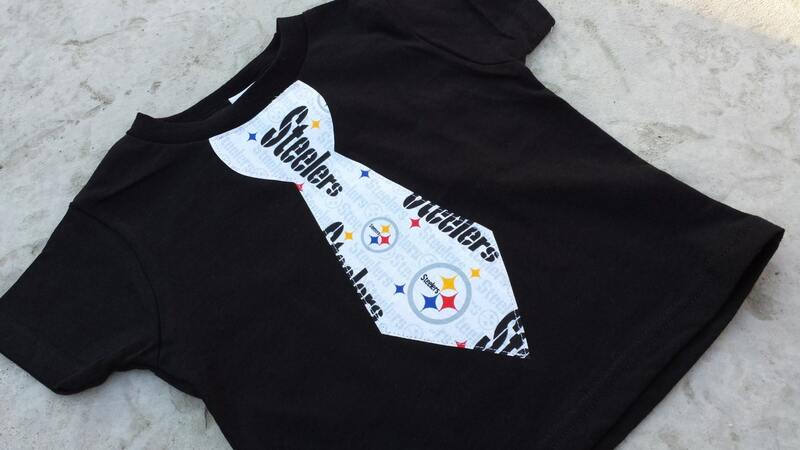 Available with a white tank or navy tank. Horrible Experience with this Company!! 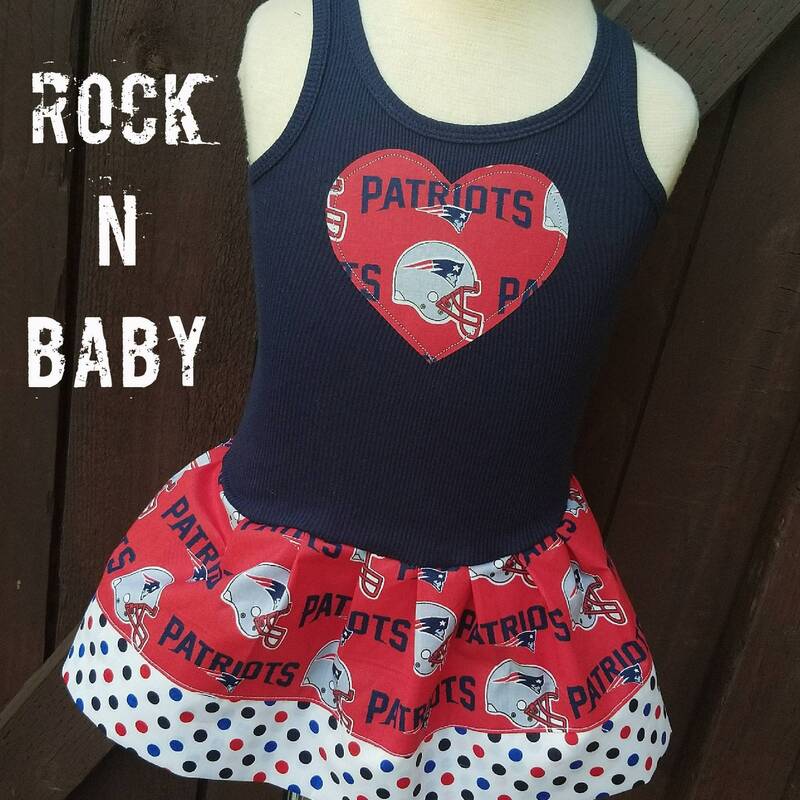 Ordered a Patriots dress for my 4 year old Daughter 2 weeks before the SUPER BOWL. And on the website they "Guarantee" delivery before the big game. I did not receive my order until 2 days AFTER the Super Bowl. And their Excuse was to blame it on USPS. They decided to Ship the Package 2 days before the Game knowing that Half the Country was getting hit with a Polar Vortex Storm. Horrible experience, weren't even Sympathetic to a paying customer who chose their business over many others. I highly recommend you shop ElseWhere. 0 STARS would be to much to grade them. 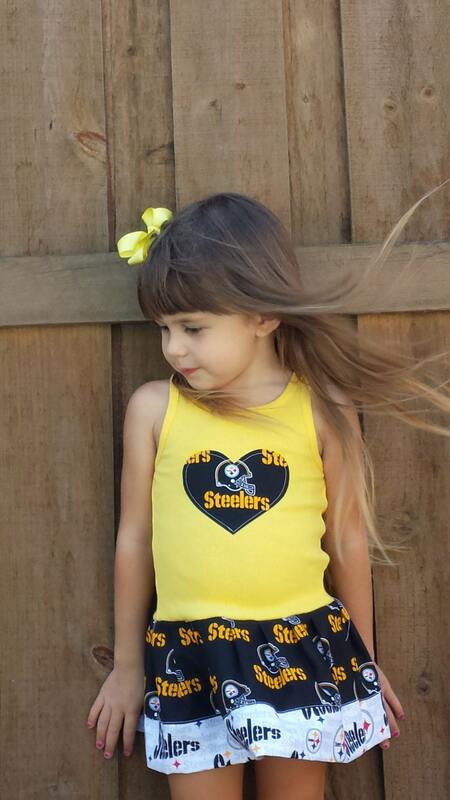 Adorable dress and fast shipping! 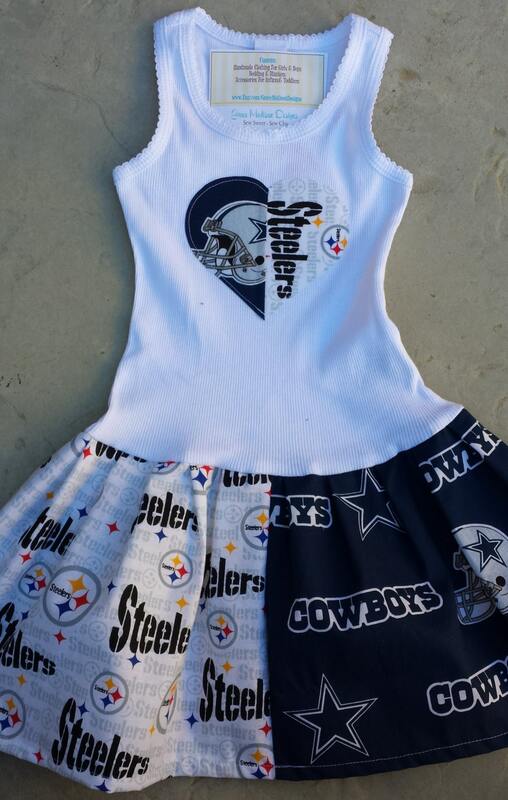 My daughter loves this dress. Shipped on time for super bowl! Accurate sizing, looks just like the picture. I would definitely order from gracemadisondesigns again! Thank you!